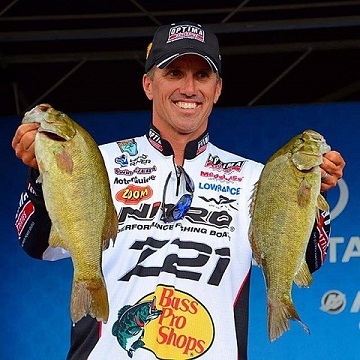 Bassmaster Elite Series pro Edwin Evers and performance automotive and marine battery manufacturer OPTIMA Batteries are launching a new effort to raise awareness and funds for America’s combat-wounded Purple Heart veterans and their needs, as well as heal their physical and emotional wounds. 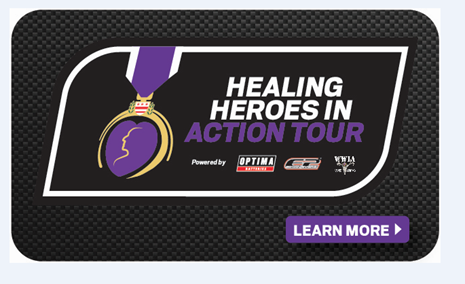 Together with the Wounded Warriors in Action Foundation (WWIA), Evers and OPTIMA Batteries will kick off the “Healing Heroes in Action Tour” on March 12, 2015, before the official practice period for the Sabine River Bassmaster Elite Series event in Orange, Texas. The tour will continue with four more events coinciding with Edwin's travels on the tournament trail. All proceeds raised through this effort will go to WWIA, a national 501(c)3 non-profit organization dedicated to serving our nation's combat-wounded Purple Heart veterans by providing world-class outdoor sporting activities. The foundation will identify those who will fish with Evers and will provide transportation, lodging and assistance for them at the chosen body of water. OPTIMA Batteries and Evers’ other sponsors including Bass Pro Shops, Lowrance, Mustad, War Eagle, Wild River, Wiley X and Zoom Bait Company will be providing additional resources for the events and prize packages for both the veteran and the highest-bidding team, who will compete against Evers and his partner. “Edwin Evers and OPTIMA Batteries share a deep admiration and appreciation for the sacrifice made by our troops who serve at home and abroad,” said Cam Douglass, Marketing Director for OPTIMA Batteries. “We decided to team up with Wounded Warriors in Action to give deserving veterans the experience of a lifetime and at the same time, raise needed funds for an organization that is all about providing healing experiences in the outdoors for those who need it most.” For those interested in the chance to compete head-to-head against Evers and his partner, supporting this worthwhile cause and receiving a gear package from Evers’s sponsors, visit the Edwin Evers Facebook page and watch for posts indicating auction times and dates. The Wounded Warriors in Action Foundation was established in 2007 and is a national 501(c)3 non-profit Purple Heart organization, serving a very unique and special segment of the veteran population – the combat-wounded: the men and women wounded in combat, who have been awarded the Purple Heart Medal. WWIA serves these Heroes by providing world-class, outdoor sporting activities as a means to recognize and honor their sacrifice, encourage independence and connections with communities, and promote healing and wellness through camaraderie and a shared passion for the outdoors. WWIA supports these heroes by providing them with the opportunity to participate in world-class outdoor sporting activities, chiefly hunting and fishing. 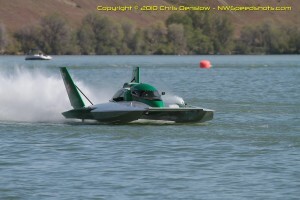 WWIA’s mission and their only goal is to get our Wounded Warriors back in Action. For more information and to support WWIA, please visit wwiaf.org.